The 2013 Chevy Malibu Makes Its Debut in Tysons Corner! 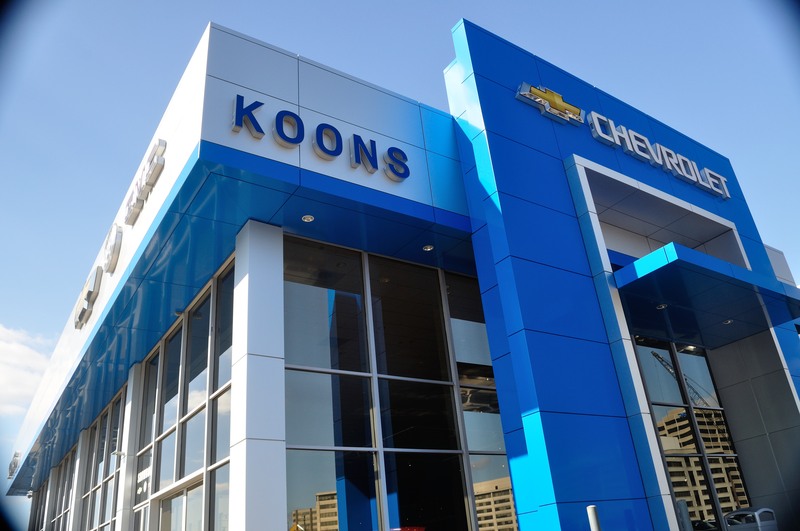 The showroom of Koons Tysons GM Corner has been under renovation for quite some time, and we’re excited to announce that the construction is now complete! So come drop by and see our beautiful new showroom complete with various award-winning Chevrolet, GMC and Buick models. Speaking of award-winning, we’ve got another surprise for you. 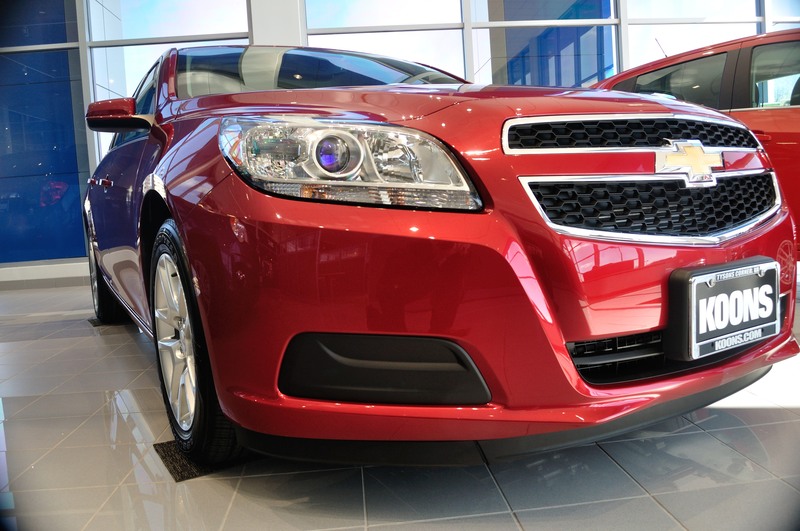 Just a few days ago we received our very first 2013 Chevrolet Malibu in our showroom, and we’ve got to say, it’s quite the catch. The 2013 Malibu is a shorter, wider and roomier version compared to Malibu’s of the past. The 2.5l V6 delivers 190hp and 180 lb-ft of torque, which translates into below 8 seconds for a sprint from 0-60mph. In addition, the 2013 Malibu will utilize GM’s eAssist hybrid system that achieves an EPA estimated 26mpg city and 38mpg highway from their turbocharged Ecotec four-cylinder engine. The interior has been fully redesigned and dressed in soft-touch materials with luxury in mind. Posted on February 16, 2012, in Automotive, Chevrolet and tagged "Tysons Corner", 2013, Buick Tysons Corner, Chevrolet, Chevrolet Tysons Corner, Chevy, Corner, crystal, GM, GM Corner, GMC, GMC Tysons Corner, Krystal, Krystal Koons, Malibu, new, showroom, Tysons. Bookmark the permalink. Leave a comment.